More than half of Americans believe that brands should drop their sponsorship deals with the National Football League over its handling of players accused of domestic violence, according to a Reuters/Ipsos poll. NEW YORK — More than half of Americans believe that brands should drop their sponsorship deals with the National Football League over its handling of players accused of domestic violence, according to a Reuters/Ipsos poll. Among those surveyed, 30 percent said that the NFL’s largest sponsors should sever their ties permanently with the league, while 24 percent said they should end their sponsorship for this season. “The only way to hurt the NFL and get its attention is with money,” said one poll respondent, Curvin Rohler, a 79-year-old retiree a from Henderson, Nevada. Still, Rohler is watching pro football games on television. “It hasn’t gotten to the point to where I would not watch it,” he said. He is not alone. Nearly 80 percent of respondents in the Reuters/Ipsos poll said they plan to continue watching or attending football games organized by the NFL, which reaps some $9 billion in annual revenue. The poll also revealed a split between women, 58 percent of whom said that sponsors should back out in some way, and men, 49 percent of whom favored such a move. Overall, in addition to those who thought NFL sponsors should end their agreements with the league, 26 percent said the brands should publicly protest the NFL’s actions, but not end their sponsorships, while 20 percent said brands should do nothing. Several companies that have marketing deals worth tens of millions of dollars each with the league, including PepsiCo Inc , Budweiser and Procter & Gamble Co’s CoverGirl have publicly criticized the NFL’s slow reaction to its handling of domestic violence cases. The NFL and its commissioner, Roger Goodell, are under scrutiny for lightly punishing former Baltimore Ravens star Ray Rice for knocking out his then-girlfriend in February. The league and its team owners are also dealing with Minnesota Vikings running back Adrian Peterson, who has been charged with child abuse in Texas. But Procter & Gamble’s toothpaste brand Crest was the only sponsor to cancel a promotion — one originally timed to run during Breast Cancer Awareness Month. Some consumers’ desire to see sponsors sever ties is a sign they hold the companies they buy from to high standards, said Rob Prazmark, president of sports marketing firm 21 Marketing. “That is the reason they would like to see these companies back off and send a very strong message to the NFL,” he said. While some NFL corporate sponsors contacted by Reuters about the poll results reiterated their concern about domestic violence, none seemed to be any closer to pulling the plug on their particular deals. Such sponsorships are widely coveted given the exposure they offer on one of the few types of TV programming that is still mostly watched live. 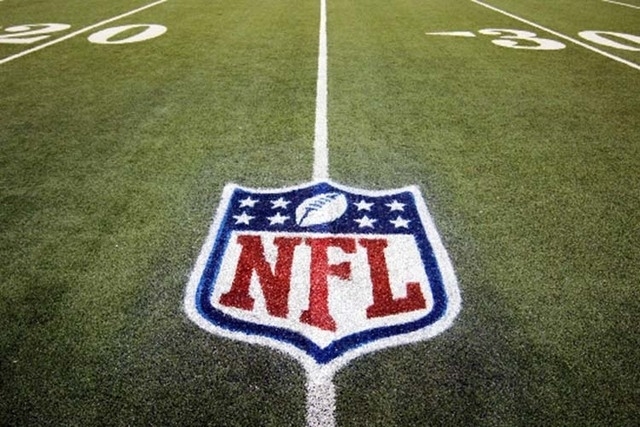 NFL sponsorship contracts are tough to break and it can cost a company more to pull out from an agreement than the amount it pays to the NFL for a branding tie-up, Levick’s Maloni said. A spokeswoman for TD Ameritrade Holdings Corp, which recently joined as a sponsor, said the brokerage is monitoring the situation with its own research and studies from third parties. “We want to see the NFL do more to improve a culture that values inclusion, safety and respect for its employees, their families and others,” spokeswoman Kim Hillyer said. Pepsi, Budweiser parent Anheuser-Busch InBev SA, Nationwide Insurance and Verizon Communications Inc declined to comment and cited previous statements they made rebuking the league and expressing dissatisfaction with how the organization handled violent behavior. Representatives from McDonald’s Corp, Visa Inc and Microsoft Corp did not immediately respond to a request seeking comment. Representatives for the NFL were not immediately available to comment. The online poll surveyed 1,247 adult Americans from Sept. 19 to Sept. 23, with a margin of error of 3.2 percentage points. There are no signs the Rice and Peterson scandals are making any kind of dent in football’s popularity. Since the start of the season in August, more than 18 million people on average have viewed an NFL football game through last weekend, compared with last season’s average viewership of 17.4 million people, according to data from Nielsen. That was borne out by some poll respondents, including Ann McClure, 51, a special education teacher in Louisville, Kentucky, who said she will probably watch more football this year. A big college football fan, McClure plans to follow the NFL Vikings now that Teddy Bridgewater, a rookie who played at University of Louisville, is on the Minnesota team. ALSO: See AP’s timeline on the Adrian Peterson and Ray Rice cases.